The alkali metals, also known as the alkali metal family is a group of six elements characterized by common physical and chemical properties, a similar electron configuration, and shared periodic trends. All the alkali metals are found in nature, but being highly reactive, they do not occur freely in their pure form . When the elements from group 1 react with water, they all form alkaline solutions. So, the family is called the alkali metal family . Having a single valence electron (the electron on their atom’s outermost shell) makes all the alkali metals highly reactive at room temperature and standard pressure. It takes little energy for them to lose the electron and form positively charged ions (cations) with a +1 charge. These elements readily react with even the oxygen in the air to form oxides that make their shiny surface turn pale gray within moments if left in open air . The heat resulting from the reaction ignites the hydrogen atoms produced, causing a considerable explosion . The top three elements of the group, Li, Na, and K, along with Cs, have different applications in various industries including glass-making, photography, weapons and explosives, and batteries Sodium compounds have some everyday uses in food processing and preparation. Rb is mainly used for research purposes . Fr does not have any regular application as it is rarely present in nature . 1. Why are alkali metals stored in oil? Ans. Being highly reactive, alkali metals in their pure form have to be stored in oil to keep them from coming in contact with air and water . 2. 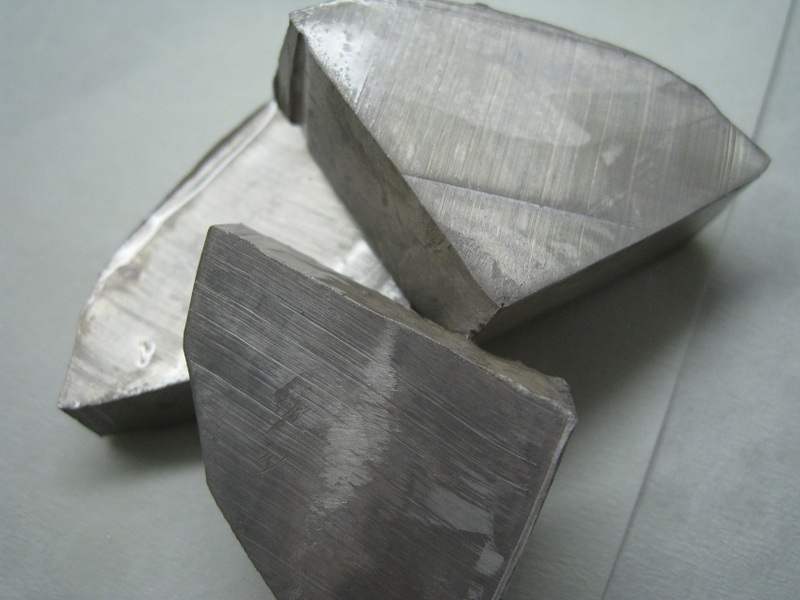 What are the most abundant alkali metals? Ans. Sodium and potassium are the most abundant alkali metals. 3. Why Is hydrogen not considered an alkali metal? H is not a metal, it is a gas. It is also much less reactive, needing more energy for it to release that single electron to form positively charged ions. H can also gain an electron to form negatively charged ions, like the elements in the halogen group . 4. What is the difference between alkali metals and alkaline earth metals? Ans. 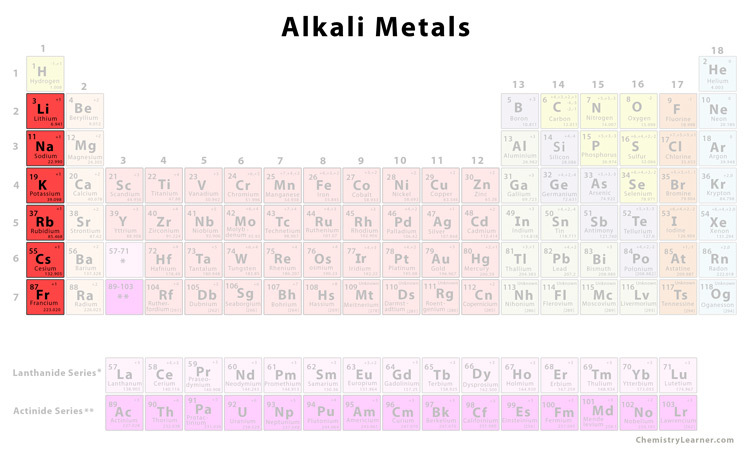 Alkaline earth metals are the Group 2 elements in the periodic table. 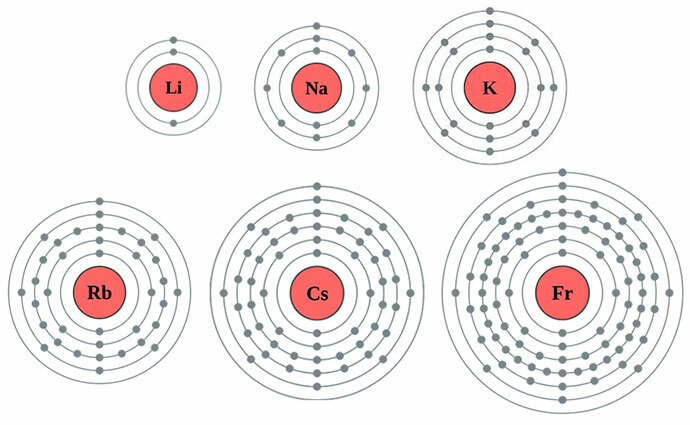 Despite having some similarities in their physical properties, they are placed in different groups mainly because the alkaline earth metals have two electrons in the outermost shell of their atom. Since losing 2 electrons needs more energy than losing one, the alkaline earth metals are less reactive than the alkali metals . 5. 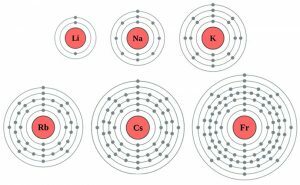 Why are halogens and alkali metals likely to form ion? Ans. Having 1 valence electron, the alkali metals try to get rid of it to achieve stability, while halogens (e.g. chlorine, bromine, fluorine etc) have seven valence electrons, meaning they try to gain 1 more electron to become stable. As a result, together they react to form ionic compounds like sodium chloride (NaCl) and potassium chloride (Kcl) . 6. How are alkali metals different from noble gases? Ans. Alkali metals have a single electron on their outer shell, while all the noble gases (the Group 8 elements in the periodic table including helium, neon, argon) have a full valence band with no unpaired electron to cause a reaction with other molecules . The name of the alkali metal group derives from the Arabic word ‘al qali’, which means ‘from ashes’. It was named as such because most Na and K compounds were originally obtained from wood ashes . The elements in this group have the lowest first ionization energies (the minimum energy required for an atom to give up an electron) in each period .